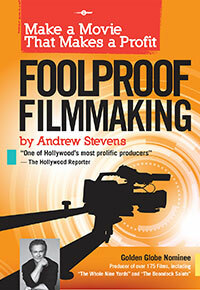 Andrew Steven’s FoolProof Filmmmaking Film Series in now available digitally through Vimeo On Demand. Check it out! 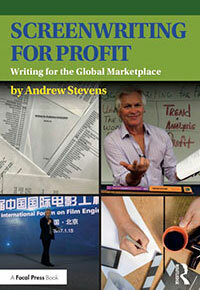 Andrew Stevens has financed and produced over 175 motion pictures. 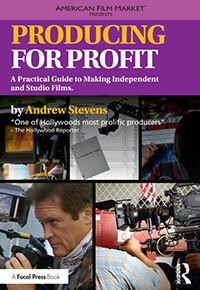 Andrew Stevens Reveals Secrets No Other Book or Film School Does. Andrew Stevens has financed and produced micro-budget independent films, award-winning Cannes and Sundance festival movies. He also financed blockbuster studio theatrical release. Over 175 motion pictures, Stevens’ films have generated over $1 Billion in world-wide sales. Now, Stevens reveals the secrets no other book or film school does. Andrew Stevens Reveals Secret. Stevens will teach you how to develop the right script for the marketplace, how to negotiate the right deals, and keys to successful financing. He will also teach you about casting, distribution, sales and marketing of your film, so that you will have the tools to make a film that makes a profit, not a mistake. Andrew Stevens Reveals Secrets. Learn more, launch your career now and turn your passion into profit! Sign up for our email list and receive a FREE download! Your privacy is important. Your email will not be shared. Named "One of the most prolific producers in Hollywood" by the Hollywood Reporter, Stevens' films have generated over $1-Billion in world-wide revenues. 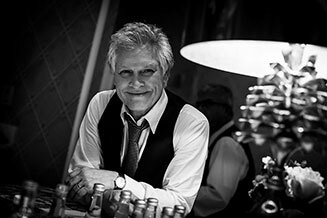 They have spanned numerous genres and have featured such stars as Jennifer Lopez, Bruce Willis and Academy award winners, Michael Douglas, Kevin Costner, Robert De Niro, Jack Nicholson, Gene Hackman, Sylvester Stallone, John Travolta to name a few. Click on an icon to read more. © 2019 Andrew Stevens. All Rights Reserved.